This morning at 11.00pm, the Formentera Council called a meeting of the Junta Local de Seguretat, or Local Security Junta, in the administration's hall of ceremonies. 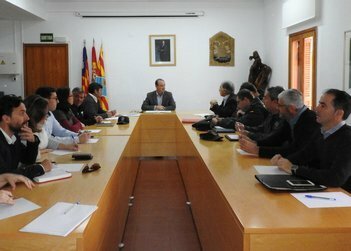 Council president Jaume Ferrer summoned local Govern delegates for the one-off gathering in a bid to address recent burglaries and fires on the island. The committee is co-chaired by Ferrer and Maria Salom, the regional government's envoy on the island. Another Govern representative, Rogelio Araujo, sat in for Salom, who was unable to attend. Afterwards, the president framed the gathering as an opportunity to check in on the action of local law enforcement like Guardia Civil in response to the robberies and fires. Specialised divisions have also been enlisted in tackling the issue, he said. 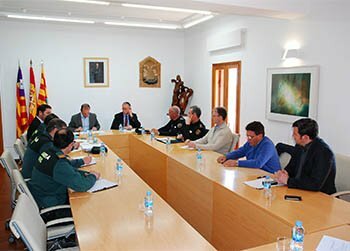 The meeting also served as a forum to explore improving coordination between agencies like the Guardia Civil and Formentera Local Police. “Based on what we have seen, the work is getting done”, Ferrer said, though admitting “results in these cases are slow to materialise”. “We want to see fast changes, but our message to the people of Formentera is one of tranquility: trust that our national forces of security are here for our protection”. The Formentera Council's department of security applauds the Govern and the Balearic Islands parliamentary body for moving, December 5, to advance a July 17 piece of legislation on coordination of local law enforcement in the islands. Special thanks go to Formentera's provincial councillor, Silvia Tur, for championing an additional provision officials say will be a milestone in how the police coordinate their efforts on the island. According to the amended text, Formentera's unique position —with an island council in charge of one municipality's governance, and the correlated overextension of the local law enforcement agencies— means the Govern, as keeper of the political autonomy and inter-island relations encapsulated in the Balearic autonomy statutes, must offer additional administrative, technical and managerial support for the island's police. The Govern's assistance must be brought to bear to ensure local law enforcement get the resources they require in excess of what the law already provides. In recent years, despite housing options, comparable pay and available positions on the force, Formentera police have remained understaffed. Police academy graduates give their preferred picks for their assignment locations, and in light of burgeoning demand across the Balearics, precious few choose Formentera. 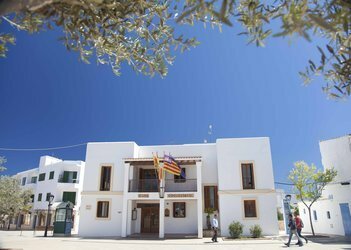 Thanks to repeated opposition from Madrid's delegate to the island and the Partido Popular, uncertainty continues to cloud the legal fate of full-time positions created to sweeten the deal for Formentera-based officers. Now, with the updated law and the special provision, Formentera has yet another instrument to guarantee it can attract new officers. Department head Bartomeu Escandell thanked regional institutions “for hearing our island's appeal for more police,” saying: “The Govern has taken steps to commit the resources our island's police force deserves”. The councillor also announced that with the new law's entry in force, Formentera will open a call for six new police officers, double the current number. This morning in the plenary hall of the Formentera Council the FiC president met with representatives from local citizens' groups to probe them on the issues they consider important regarding safety on the island. The president vowed to make the groups' input heard at the upcoming meeting of the Junta Local de Seguretat (local safety junta). Organisers of the 26 March encounter have also pledged to discuss planning for the approaching 2015 summer season. The majority of issues voiced by attendees of the morning meeting were robberies, safety around schools and the permanent local presence of Guàrdia Civil traffic agents. Other points of concern were certain dangerous stretches of the main local highway and smaller asphalted thoroughfares – the segment of road in front of El Mirador in La Mola when motorists stop to take photos was cited together with el camí vell de La Mola between the football pitch and the town of Sant Francesc when practice lets out. Representatives of farmers groups lauded the recent drop in dog attacks on livestock while highlighting the importance of continued vigilance. Today midday in the plenary hall of the Formentera Council, local security forces once again assembled to form a task force on safety dubbed locally la Junta Local de Seguretat. The event constituted the junta's first meeting since 23 April of last year; the resignation of Rafael García Vila, head of the national administration in the Pitiüses, meant a year-end session would be impossible. Gatherings of the Junta Local are conceived as a way to target and coordinate the efforts of different local security forces, focusing on which issues are of top priority for the local administration and citizens' groups. 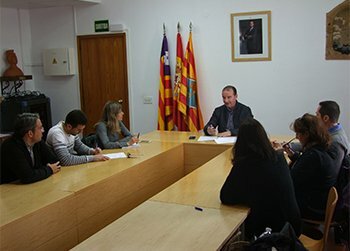 To that end and at a gathering held at the town council, 3 March was the date local groups were called on to share their principal concerns with Council president Jaume Ferrer. Attendees of today's meeting included President Ferrer; the newly-appointed local head of the national administration, Roger Sales; local safety advisor to the national administration, Jesús Valdés Campos; chief of the local Formentera police force, Joan Mayans; lieutenant colonel of the Guárdia Civil, Antonio Orantes; commissioner of the national police force in Eivissa, José Luis Santafé; commander of the Guárdia Civil in Eivissa, Antonio del Fresno; sergeant of the Guárdia Civil in Formentera, Francisco Blanco; representative of Formentera Civil Protection services, Raul Moya; representative of the Partido Popular, Pedro Orellana and representing the Partido Socialista, Santi Juan. First among the talking points were the need to increase safety in and around school zones, especially concerning drug prevention; the necessity for a year-round presence of Guárdia Civil traffic officers; the dangerousness of certain points along the main highway (such as the segment that passes in front of the Es Mirador lookout) and other points along secondary asphalted roads. Also discussed was the need to control dog attacks on livestock. Looking ahead toward summer, special emphasis was placed on the importance of protecting local licenced workers from unfair professional encroachment as well as remaining vigilant against the so-called 'party boats' and watercraft that anchor upon posidònia seaweed. Today at noon Formentera local police introduced to the island the very first member of the squad's canine unit. The pup's name is Neta and she is a four-year-old German shepherd specially-trained in defence and drug- and person-detection. 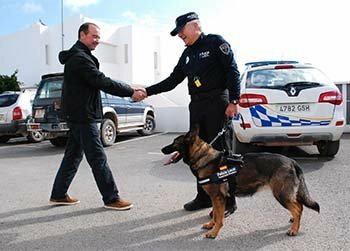 In attendance at the Neta's introductory ceremony were President Jaume Ferrer, Local Police Chief Joan Mayans, Guàrdia Civil Sergeant Francisco Blanco, representatives from the island's civil protection forces and Officer Andreu Torres, the dog's owner and trainer. Neta lives with at home with Torres, although the Formentera Council assumes responsibility for a portion of the costs of her care. According to Police Chief Mayans, the pup will provide services “of untold importance”, of which he cited drug detection and detention of individuals resisting arrest.